Alex Cimmino is a senior at SUNY Oneonta, majoring in Digital & Studio Art with a minor in Mass Communications. She joined WONY as a trainee in January 2018 and her show began that April. The show has gone through various name changes and “probably will again next semester,” she notes, but is currently titled “Full Control,” hosted by Alex every Wednesday afternoon from 2 p.m. to 4 p.m. In addition to being a DJ, Alex is also a member of the station’s Public Relations department. She stated that she has wanted to have her own radio show since she was a freshman in community college. Like a lot of her friends who were at universities with campus radio station, she wanted to have an outlet to share music she really liked with a large audience. 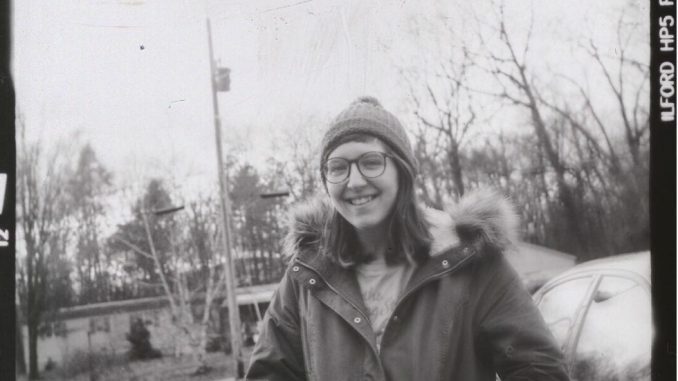 While a lot of Alex’s favorite artists are staples among members at WONY, she describes having the pleasure of being exposed to a lot of great music through the station’s new music catalog. During ‘Full Control”, Alex typically plays “Top 200” artists, indie, alternative, and classic rock music. Sometimes she enjoys associating her show with how she’s feeling that day, what the weather is like, and holidays, but Alex always tries to focus on having everything flow nicely or on what artists sound well together. Most recently, Alex dedicated a show to Academy Award Nominated and Winning Best Songs and Scores following the ninety-first Academy Awards. Listen to “Full Control” on WONY 90.9FM every Wednesday from 2 p.m. to 4 p.m., and don’t forget to Keep It Locked! Interested in joining WONY? Email our Training Director at [email protected]! U Finally made the BIG Time …..